First at all we would like to thank you for your friendship and the trust you gave us in 2018. 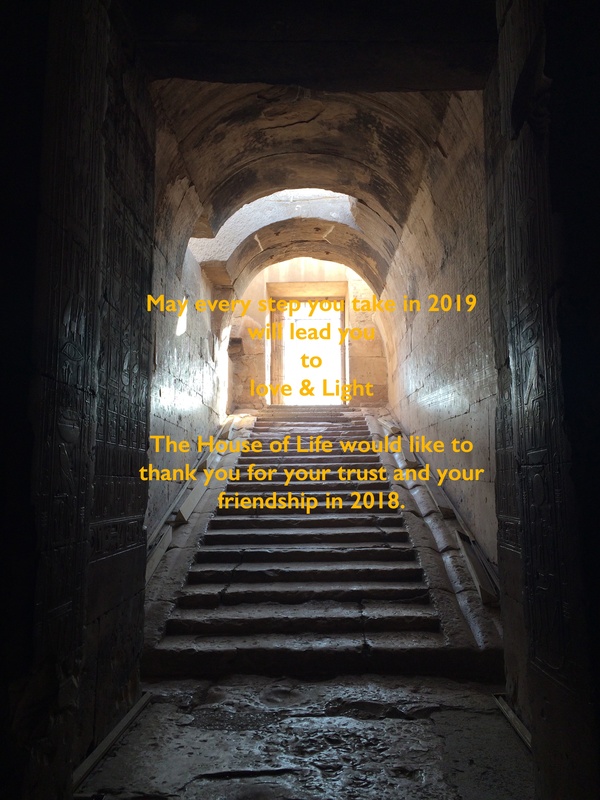 May every step you take in 2019 will lead you to Love & Light. House of Life Healing Conference: 25 until 31 of March 2019. Slowly on and step by step the House of Life is developing herself for the real aim it is built. 2019 will be for the House of Life a year of new challenges and opportunities. We are looking forward to our first House of Life Healing Conference which will take place from March 25th until March 31th. 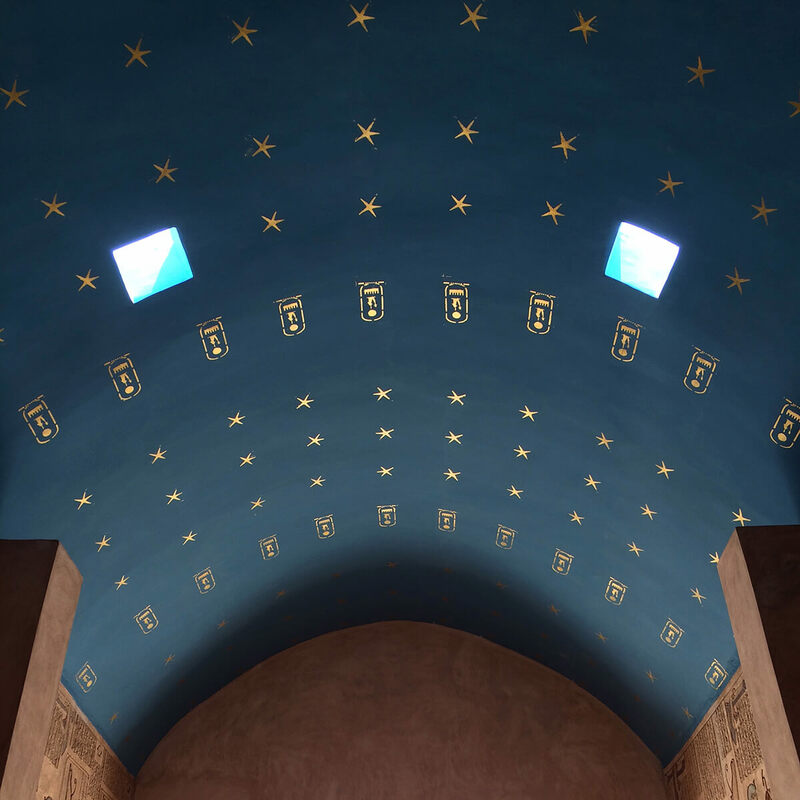 The conference program in which interesting speakers are offering their lectures and presentations and the chance to visit the Sety Temple by night and all the archaeological sites of Abydos, makes this event to a very special one. Don’t miss it! There are still possibilities to participate! Egypt is call ‘ The Motherland of the Soul’. Do you have the experience that for a long time Egypt is calling you but you never found the right moment to visit this special spiritual country? You didn’t listen to that inner voice because there were always other reasons not to listen to that ‘knocking on the door of your inner soul’? You were to busy with your job, you were to busy with earning money to satisfied your material longings although it don't make you really happy? Did you know that not listening to your inner voice means that you are not listening to the most important one in your life, the Light inside yourself? The ancient Egyptians would say that you are neglecting your great inner light, your Ba. Do you know that your Ba is made from Light and that this Light is a very special substance? That not understanding our essential spirit on which our existence is based, is currently the greatest threat in our human existence? Did you know that neglecting and the not understanding of the Ba, our Light, is currently the biggest cause of the many burnouts people are suffering from worldwide? 1. Egypt is suddenly popping up in your dreams and you are looking for answers what those dreams means for you. 2. You have the feeling that you want to visit Egypt but only under special conditions and under a special support but until now you didn’t find the special conditions and the one you can trust and who can support you in the right way. 3. Or Egypt was already for a long time a part of your inner world and now finally the right time is there to visit Egypt in person to find the answers on the questions but you don’t know where to start. 4. Your heart is longing to Egypt but every time you want to visit it, something blocks you. Be aware that your Ba is a spirit who is trying to wake you up in special periods in your life. The first time it will wake you up when you reach the age of thirty years. If you don’t listen to it, it will try it again around the age of forty years. Then around the age of 52 years. 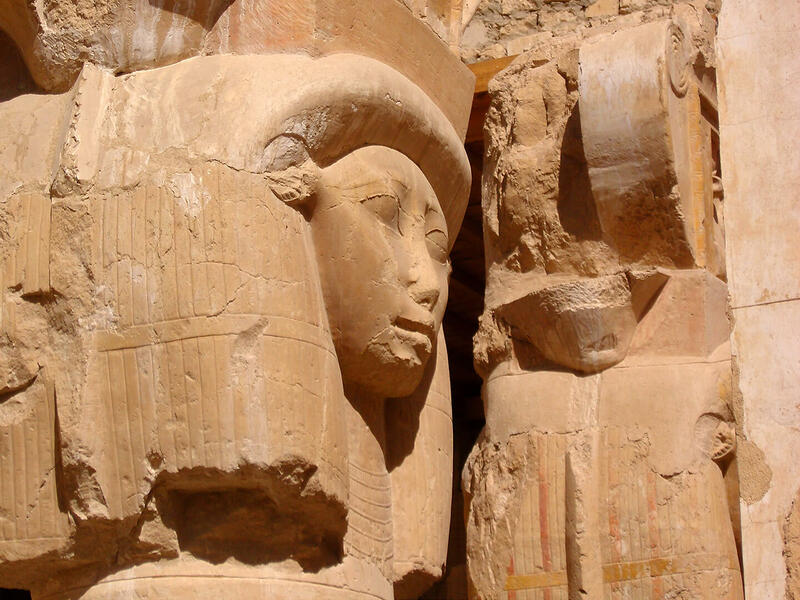 The House of Life Healing programs like the course Ancient Egyptian Healing and the Hathor Healing journey are specially made to teach and to explain you all the knowledge of the Ba and the Ka. It will expalin to you the reason why your Ba is waking you up right now. It will teach you other important ancient Egyptian knowledge of the human spirit and what our spirit mentally, spiritual, psychology and emotional really needs. That’s why the Course Ancient Egyptian Healing and the Hathor Healing Journey program of the House of Life are the perfect programs to follow and for finding the answers on your questions. The Hathor Healing journey program will be under supervision of Aset as well as Horus from Abydos. Both are the founders of the current House of Life and were brought together in this life to work out their mission; building up the current House of Life in which the knowledge of the ancient Egyptians would find a place, would be documented and would be used in order to heal. If you are interest to work as a healer especially with the spiritual knowledge and the rituals of the ancient Egyptians, then the Course Ancient Egyptian Healing is the perfect course for you to follow. It will open an individual process in which you will be guided and supported step by step by Horus from Abydos as well as Aset to develop your personal healer ship. Be aware that it will start first with healing the personal issues. It needs a strong focus of the participant. Only the one who is willing to work honesty in a deep level with their own Ba ( Light ) as well as their own Ka ( Shadow) will reach the deep wisdom of the ancient Egyptians. 1. Course Ancient Egyptian Healing. We would like to wish our friends and followers all the best for the year 2019. May it bring you a good health, good luck and a lot of friendships worldwide. Love and Light, Horus and Aset and the crew of the House of Life.